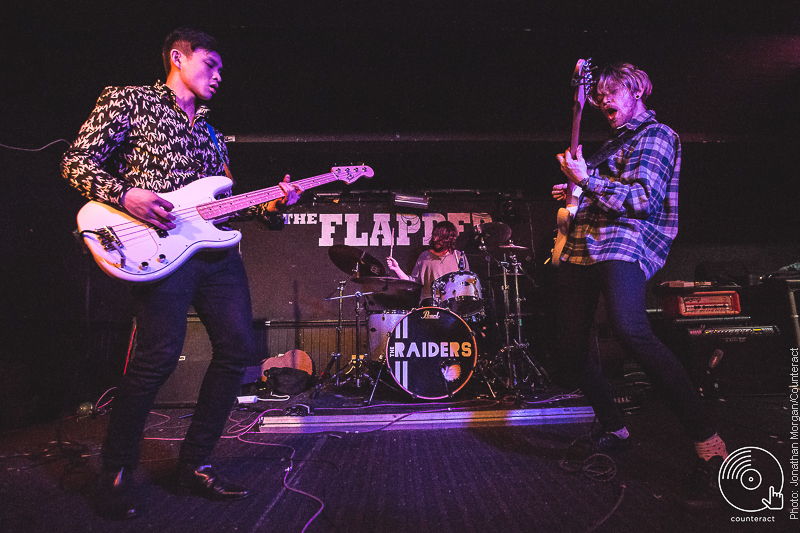 On the last Friday of the month, people with great music taste and an urge to beat the January blues gathered at The Flapper to be filled with Brummie pride, as up and coming local talent took to the stage. The quirky and effortlessly cool venue helped set the tone to what was going to be a great night filled with new material as well some classic covers which encouraged the crowd to shake off the lasting memories of 2017, as with these new bands on the horizon, 2018 is the place to be. Natural Emotions were first to take to the stage. Hailing from Solihull, these Midlands lads broke the silence with their 60s Mod flare and great covers of some classics. 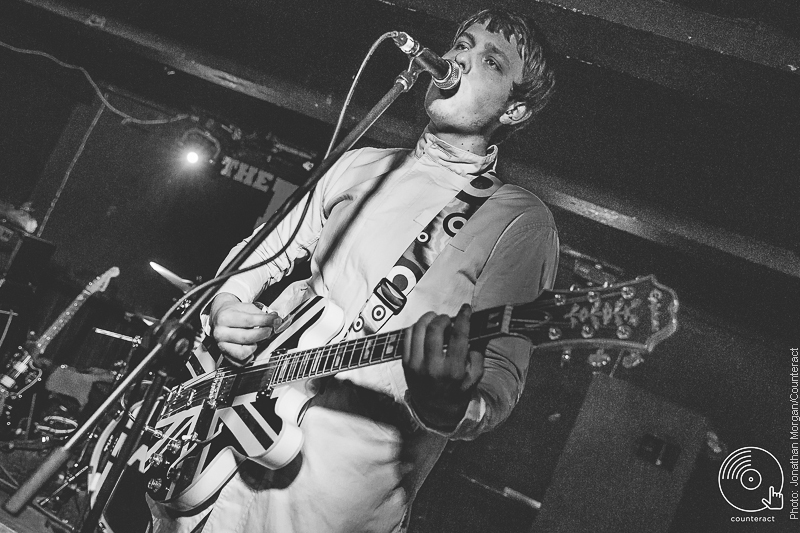 Tom Gilpin, Jack Gilpin and Dan Tweedie pleased the steadily filling room with their own take on true bangers such as ‘Rock ‘N’ Roll Star’ and ‘A Town Called Malice’ which fitted nicely with their cool British punk aesthetic. Formed in 2013, Natural Emotions have got many gigs under their belt and even an album, Deluxe Jukebox, released in 2016. 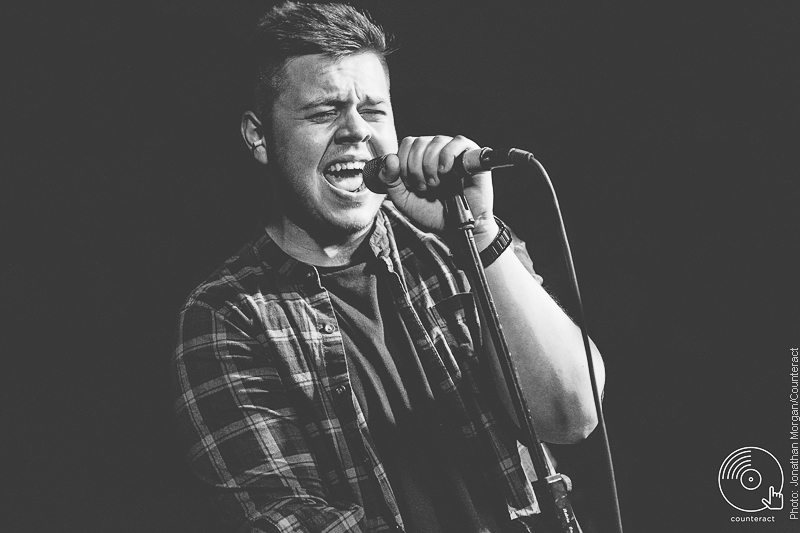 Having played such iconic Birmingham venues such as the O2 Academy and the great show they put on for us, we expect great things from these boys. The Bug Club then graced the stage. 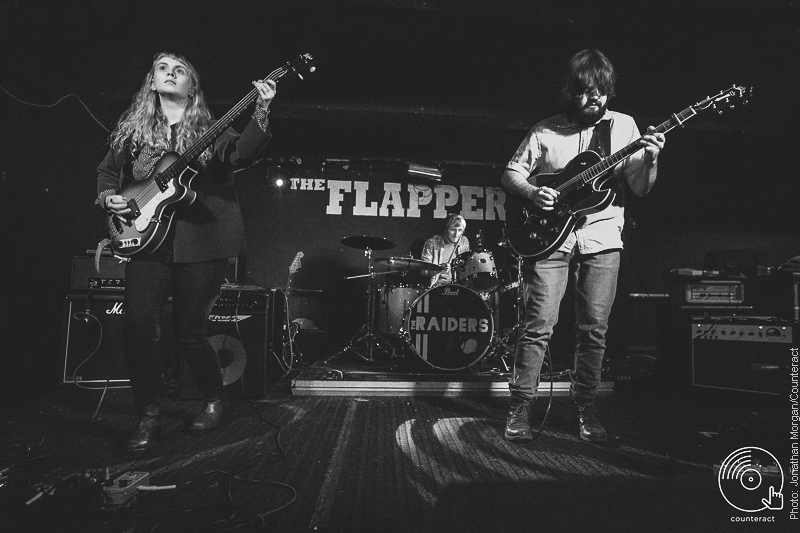 The folksy three made up of Tilly Harris, Dan Matthew and Sam Willmett brought summer to this cold January night through their chilled tracks drenched in blues and indie style rock. Demonstrating some impressive instrumental skills, The Bug Club performed some of their original tracks off their EP The Bug Club, lovingly made up of great jams such as ‘For The Love of the Season’ and ‘I’d Sing in the Morning’. Judging from their faultless performance on the night, as well as some beautiful original art work to accompany their unique sound – all the cool kids will be listening to The Bug Club in 2018. Following The Bug Club, the suited and booted lads of Rubella Moon were up next. A lively bunch, this four piece Bewdley band consisting of James Delin, James Burford, James Connolly and Tom Woodcock, shook up a somewhat chill crowd with their fast paced and self proclaimed ‘progressive blues punk rock’ stylings. These experienced music techs came together and treated a transfixed crowd to some original anthems such as ‘Losing Touch’ and ‘Weight’, which you could not help but jive to. Sweet vocals mixed with great instrumental talents allowed for an impressive performance; one that will keep us watching to see what 2018 will hold for these well dressed boys. The penultimate band were Midlanders Echo Gecco. This three part punk masterpiece made up of Josh Hunt, Kecach ‘Keega’ Hoang and Jon Aymes switched up the night with their distinctive alt rock sound and use of electronic backing tracks. They were as great to watch as they were to listen to as they bounced around the stage in a true punk fashion. 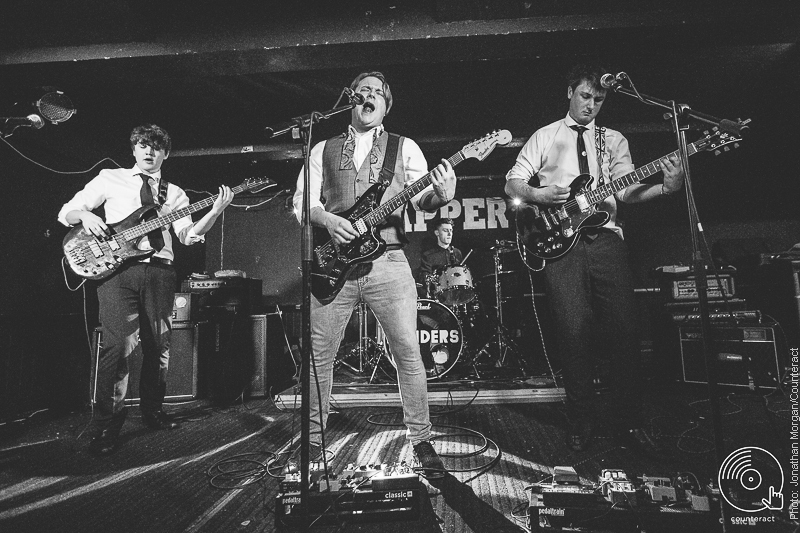 Packed full of energy and tasty guitar riffs, Echo Gecco did not disappoint with their original tracks ‘Wait Forever’ and ‘Adrenaline’, and were met with disheartened hollers as they announced their final song. Josh ended the set with an oh so modest, ‘You’ve been lovely, we’ve been terrible’ – which could not have been further from the truth. 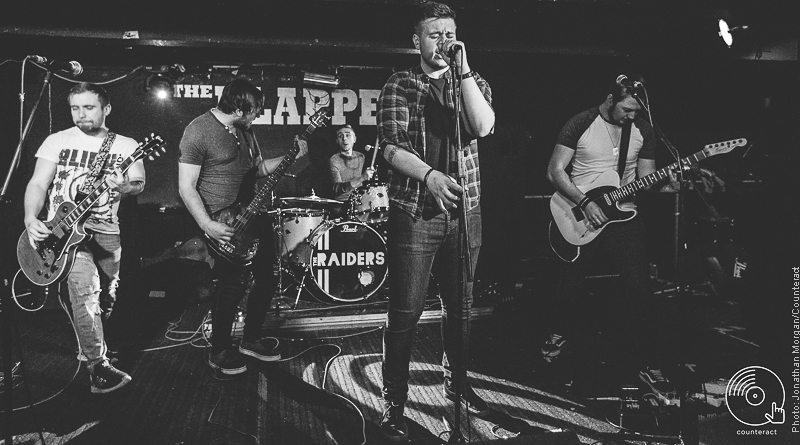 Finally, the time came for Telford’s own answer to pop punk, The Raiders, to take centre stage. Alix Jones, Jack Richards, Luke Odenwalder, Alex Hodson and Joshua Tooth filled the room with a great sound which allowed the crowd to erupt into dance. Not only did they play original material from their new album Role Models, like ‘Out of Reach’ and ‘Bite Me’, which have definite potential to become the next best emo anthems, but they ever so kindly topped off the night with their own versions of some absolute crowd pleasing bangers such as ‘Johnny B. Goode’ and ‘Mr. Brightside’. With a more than satisfied crowd dancing and singing with drinks in hand, The Raiders were a more than appropriate way to bring the night to a close.